As much as I love the brands that I get to work with in Sephora, I like feeling secured using halal cosmetic products. Especially on working days when I usually don't take my wudhu beforehand and need just the usual light makeup. Zahara was founded by Amira Geneid who was just sick and tired with the lack of good quality halal cosmetics. So she created the brand and launched her very first product - water-permeable nail polish which sold like hotcakes. 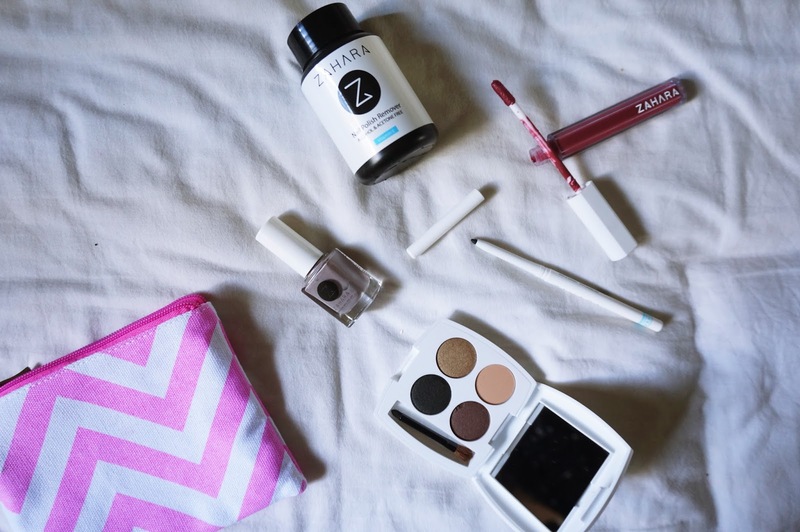 As for me, I'm always up for experimenting new makeup products. So when I met Amira and she told me what she was planning to create a halal cosmetics line, I was ecstatic! Ahh, one of my favourites! This eyeliner is super pigmented. I usually use this if I don't feel like winging it out. Also the perfect eyeliner to do a smoky eye. I just line my eyes and then blend it with a brush and tada! Since it's super pigmented, if you don't want a heavy eyeliner look, please use it lightly. If you know me well, you know I'm a crazy eyeshadow fan. I have so many palettes at home, I don't know when I can use them all. So the next new palettes I get must be super promising for me to spend my money on. 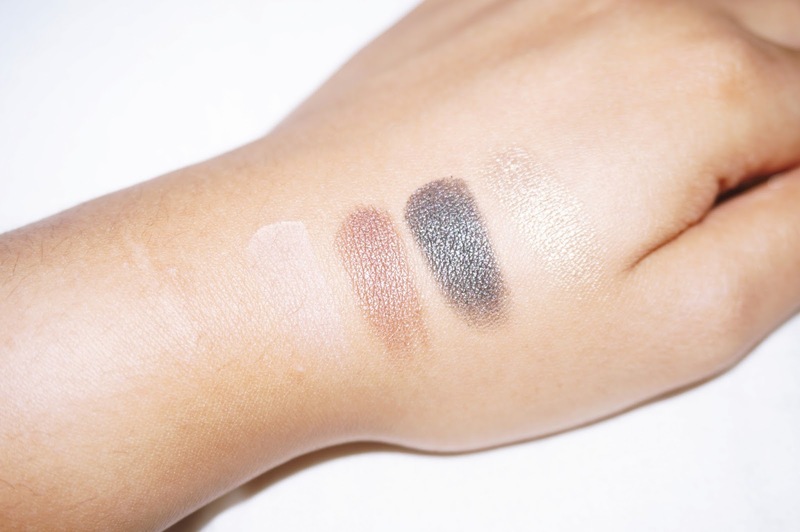 This palette is called Smoke. To be honest, I didn't expect the shadows to be so pigmented, especially the shimmer ones. The first time I put it on my eyes, I thought I would need more on my brushes. But nope, one swipe and I was like, okay I need to put on less! Tip: I don't use the brush that came with the palette. So to get the right application, use a shader brush. So is Zahara's palette a good choice? I would say yes. 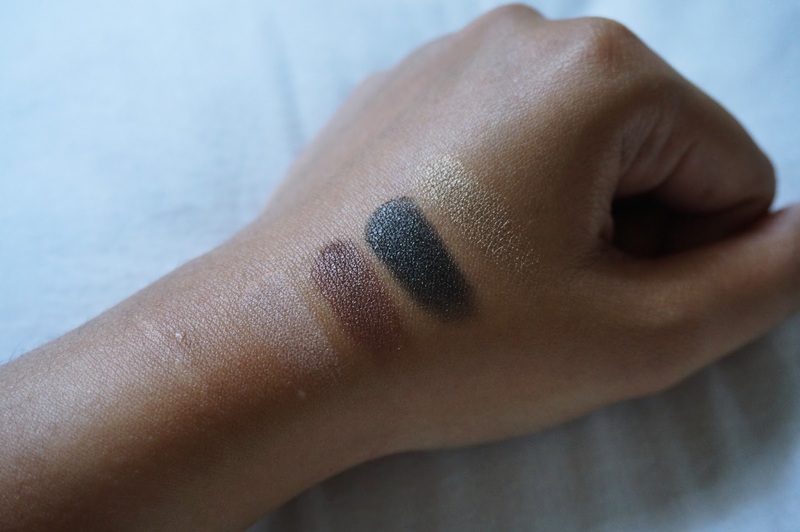 This palette is great for travelling and the beginner makeup users. It's compact, have most of the colours you need and pretty straightforward. The palettes come in many variations, suitable for all occasions! It is not launched yet but I have a special giveaway that includes one of this! Go check it out on my instagram! 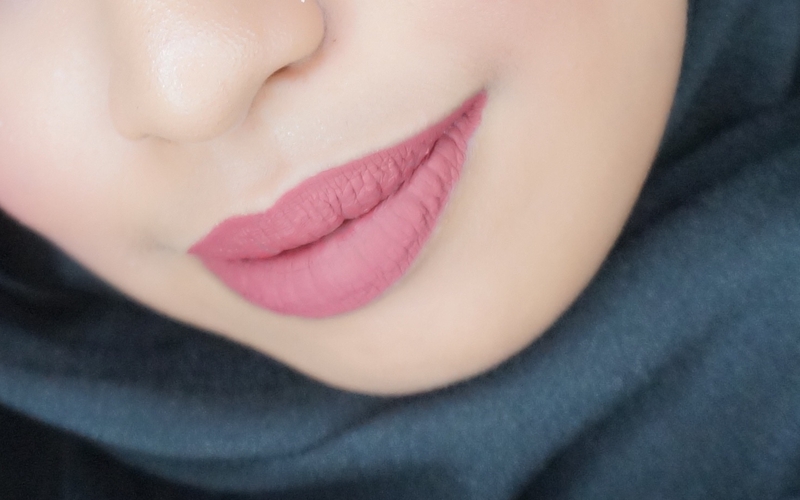 There are so many liquid lipsticks out there now but there are not many halal ones. 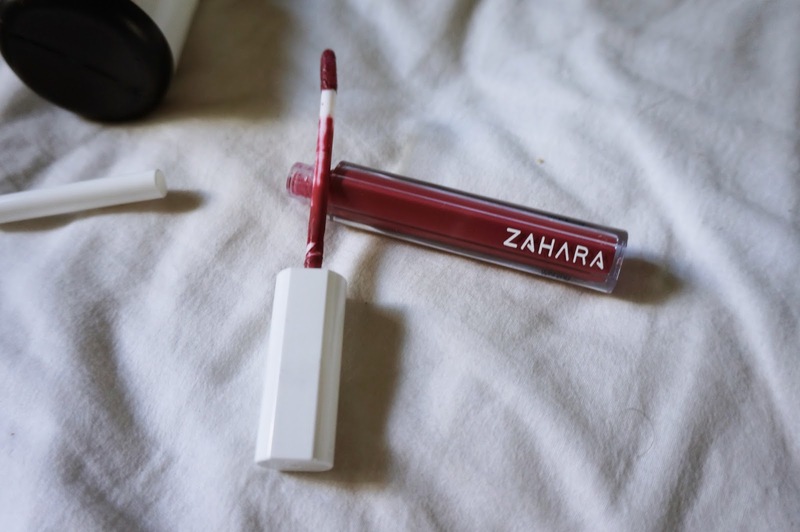 Zahara recently launched their liquid lipsticks and the colours are so yummy. Nothing too crazy, something you can wear everyday. I like that it stays throughout the whole day and it doesn't bleed. The applicator makes it easier to apply too. The only downside I feel is that it's quite drying. The first time I used it was without a lip balm, during the fasting month. Imagine the messy lip situation! I felt like my lips could fall off any time. So the second time I put this on, I make sure I apply my lip balm 3 minutes before and let my lip absorb all the moisture and then proceed to applying this. Works like a charm. Still a little bit drying, but it didn't look too obvious. The first Zahara product I tried was their special nail polish. This long lasting and water-permeable nail colour aids in producing strong and healthy, bright and beautiful nails. The Oxygen formula allows water and oxygen to pass through the polish to reach your nails. Also, upon application, it dries up pretty quickly. I'm glad that more and more nail parlours are taking in their nail polishes. I used to go for manicures and skipped the colours because I have to pray on that day. But now I have the choice of Zahara Nail Polishes! With nail polishes, they have to come up with a Halal Nail Polish Remover that is alcohol-free. With a built in sponge, removal is clean and easy. No need for tissues or cotton pads just stick your finger directly into the bottle and rub against the sponge within. Their nail polish is also acetone-free! And here's a look I did for Sephora's Gala Night recently! I'm using their Smoke Eye Palette and their liquid lipstick in Mystery. You can get them all at Zahara. Oh! 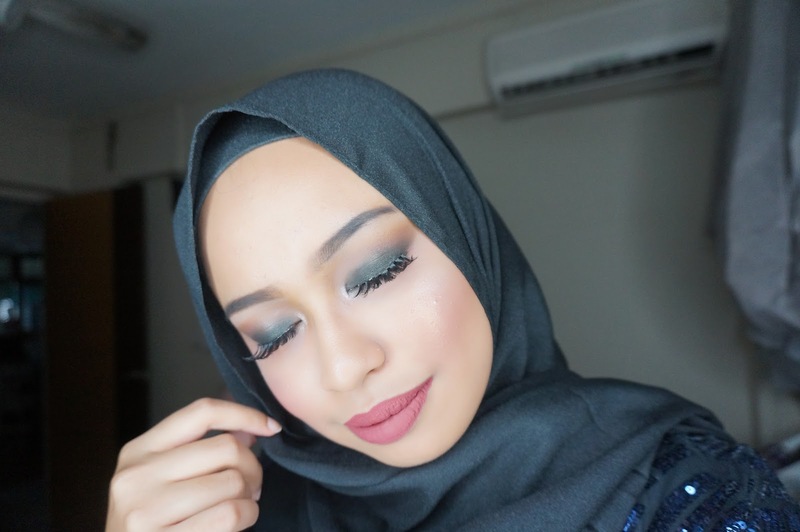 I was also part of their Raya Ready Looks campaign which you can read all about here! 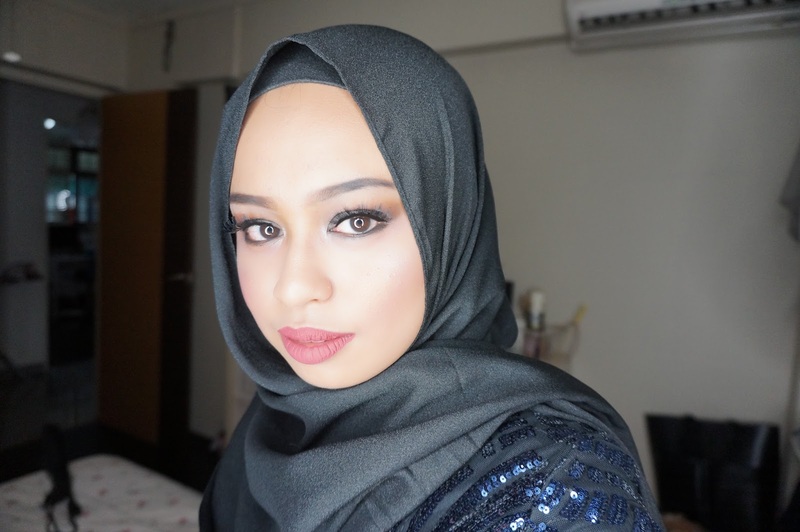 1 comment on "[ADVERTORIAL] Zahara - Halal Cosmetics"